I forgot to mention in the video but it’s pretty neat how the PSA is live-streaming matches on Facebook. Even though I have a Squash TV subscription, I find myself watching on Facebook because it’s fun to see some of the commentary in the FB chat room. I really like this advice from David Palmer about taking the drop in with urgency rather than trying to wait on the shot. I need to do this a lot better. 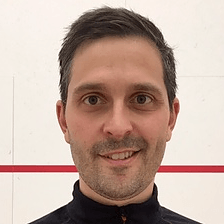 Good blog post and video from Infinitum Squash about using different types of squash balls i.e. not always trying to use a double yellow dot. If you haven’t seen the documentary Free Solo, you should absolutely check it out. Even thought it’s about a rock climber, there’s much to learn about focus and commitment to your sport.